1929 Born Wallasey, Cheshire only son of John ‘Jack’ Addyman, leather merchant of Liverpool and Emma Hughes of Mold, Flintshire. 1945 Attended Wallasey School of Art, with a tradition of War Artists work and English graphics. Family moved business to Port Talbot, South Wales. 1949 Entered Royal College of Art, London in graphic design then transferred to illustration taught by Nash, Bawden, Minton etc. 1953 Went to Live in South Wales, Married Madeline Southern, also a student at Wallasey and RCA, Produced large drawing in ink and watercolour based on rocks at Porthcawl shown by Welsh Arts Council and purchased by Steel Company of Wales. Heralded by David Bell as indicative of ‘Welsh School of Painting’ and included in his book ‘The Artist in Wales’ Harrap. 1957. Taught in Swansea School of Art. 1954 Showed at Glyn Vivien, Swansea. 1955 Showed at ‘Daily Express Young Artists Exhibition’: work purchased by Balliol College, Oxford. Moved to Colchester, Essex. Daughter Lynne is born. 1956-63 Taught at Colchester School of Art, also worked with John Nash at Abingdon Summer School and Flatford Mill Field Centre. Produced lino and woodcut print of Welsh subject ‘Rocks and Sea’ Edition, purchased by Hon. Robert Erskine for St Georges Gallery, London, and shown in International Printmakers exhibitions and purchased for Giles Bequest at V&A and public collections in Sydney, Chicago, Glasgow, etc. 1958 First of three one-man shows at Minories, Colchester, then presided over by EM O’R Dickey, late of War Artists Commission. 1959 Exhibited at New Art Centre, London. Reviewed in ‘Observer’ by John Russell. Met Nigel Henderson at Colchester and started work with ceramics related to rock forms. Large ceramic work purchased by the Foreign Office for the University of Abidjan. Invited to exhibit at Oxford Union Art Society with Greaves, Middleditch and Nash by Nicholas Elam, then president. Works purchased for college collections. Continued to show privately at the Royal Academy and London Group. 1960 Included in major exhibition by Contemporary Art Society for Wales opened by Lord Snowdon; work purchased for permanent collection. Exhibited in London and Wales. 1961 Exhibition at Oxford Union Art Society with John Nash, Edward Middleditch, etc. Works Purchased for College Collections including Oriel and New College. 1963 Nottingham College of Art John Addyman developed a course for ceramics for architecture in conjunction with University of Nottingham. Work shown At Midland Group. Pictures for Schools work purchased by Nottingham County Council. Continued to show privately also at Howard Roberts Gallery, Cardiff with important sales included BBC Controller for Wales and University of Wales, Aberystwyth. 1966 Exhibition in Cape Town of watercolours and other work. A ceramic panel is purchased by Abidjan University. Moved back to Suffolk with family. 1967 Settled in Sudbury, Suffolk. Invited to join Management Committee of Gainsborough’s House. 1968 Exhibition ‘Sculpture and Drawings’ at Corn Exchange, Ipswich, curated by Bernard Reynolds. 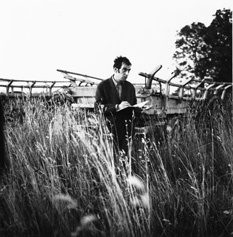 1969 – 70 Assisted at University of Essex Art department under Joseph Rykwert and exhibited formal abstracts at Wivenhoe Arts Club. 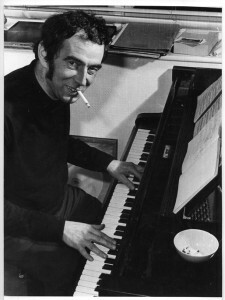 1971 – 73 Visiting Lecturer at Nottingham (TrentPoly) BA Fine Art painting course also visited Norwich School of Art. 1972 Established Printworkshop at Gainsbourough’s House. Produced a series of lithographs. Showed extensive collection of work at Gainsbourough’s House. 1973 Exhibition at Oriel, Bangor, sponsored by Welsh Arts Council. Works Purchased for Collection. 1976 Prizewinner at Eisteddfod, Cardigan, Dyfed. 1977 Works in Watercolour and ceramic bas-relief purchased for Coleg Normel through Welsh Arts Council. 1978 Major works in watercolour purchased for the City of Coventry and City of Newport, Monmouth from exhibition at National Museum of Wales, Cardiff. Large exhibition of watercolours at Aldeburgh, Suffolk. 1979 Group show at Ellingham Mill, Norfolk with Clatworthy, Grant, Cohen, Westley and others. 1980 Show at Harlow Playhouse Theatre and Bawden, Proctor, etc. 1981 Became involved with American Summer Schools programme U.K.
1982 Important work purchased by Ipswich Corporation for Christchurch Museum, Invited to show in exhibition ‘Anglain Encounters’ at Blackman Harvey London, Curated by Isobel Vasseur with G. Clarke, A. Cohen, and others. 1983 Show in Bury St Edmonds Market Cross Gallery sponsored by Eastern Arts, works purchased for Suffolk County Council, Eastern Arts Award. 1986 Travelled to Canada and USA. Showed work privately in Montreal and Washington D.C. Visited New York print schools. 1987 Collaboration with poet Kevin Crossley-Holland and composer Alun Bullard for Anglia Television Folio production ‘the Painting Room’. Resulting work exhibited at Christchurch Museum, Ipswich. Further work Purchased for Collection. 1989 Moved with family to Ceredigion West Wales. First solo show at Chappel Galleries, Essex. 1991 Hosted the ‘Proteus Exhibition’ group exhibition sculpture, paintings, prints – some work produced in site, installation and performance. 1992 Exhibition at Gainsborough’s House ‘Work in Wales’. Several important sales including Michael Chase for his collection. Reviewed by Ray Rushton in Guardian. 1993 Involved with Dyfed Art Show. Invited George Melly to award prizes and lecture at Trinity College, Camarthen. 1994 Invited by Nicholas Elam, British Ambassador, to take part in Artists in Residence programme in preparation for Luxembourg European City of Culture celebration 1995. 1996 September- recommended by William Packer for residency in Ballycastle, Co Mayo at Ballinglen Arts Foundation. Major prizewinner Sunday Times Singer Friedlander watercolour competition. Exhibition British Embassy Artists in Residence at Konschthaus Brim Engel, Luxembourg. 1997 Invited to exhibit in ‘The Elements’ at Bury St Edmonds Art Gallery with Goldsworthy, Tabner, and others. Piers Feetham Gallery, London – ‘Drawings of Landscape’. Royal Hibernian Academy, Dublin – ‘Landscape and Recollection’ the Ballinglen Experience. 1998 ‘4 Artists form Great Britain’ at t’ Elzenveld VZW Antwerp, British Council. 1999 Art at the Institute of Physics, London – 25 works. Welsh Watercolour Society. Invited member. Theatr Mwldan, Cardigan Exhibition: large watercolours and drawings. 2000 One man show – t’Elzenveld, Antwerp. 2001 Retrospective- Chapel Galleries, Essex. 2002 National Trust at Dinefwr, Llandeilo- works produced on site. 2003 ‘Layers of perception’ Touring Exhibition originating from Queens Hall Gallery, Narberth. Sponsored by Arts Council, Wales Watercolours, prints, ceramics, photographs and Artist Box. 2004 Llantarnam Grange, Cwmbran, Newport Touring exhibition, Arts Council Wales. 2006 ‘Corrugated Irony’ show at Salem Chapel Hay on Wye, coinciding with the literary festival.